Gold medals: 2012 FIBA U17 World Championship and 2011 FIBA Americas U16 Championship. 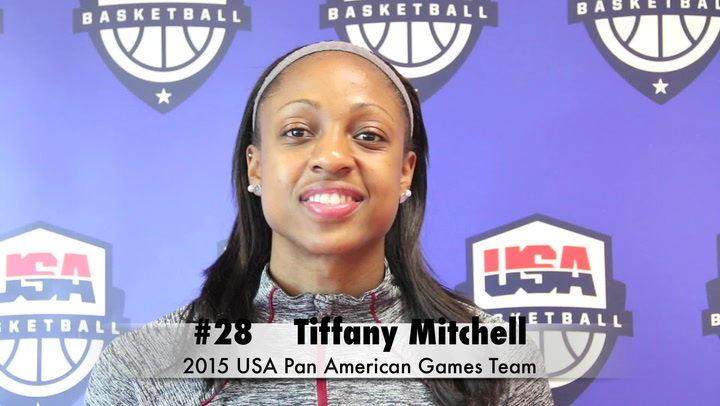 Member of the 2015 USA Basketball Women’s Pan American Games team that captured the silver medal with a 4-1 record at 2015 Pan American Games in Toronto, Canada. Member of the 2012 USA U17 World Championship Team that captured the gold medal with an 8-0 record in Amsterdam, the Netherlands; also helped the USA to a 4-0 exhibition record. 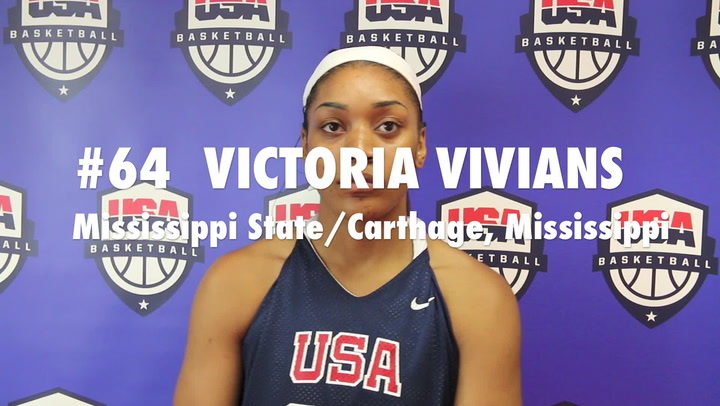 Member of the 2011 USA 3x3 U18 World Championship Team that took home an honorary bronze medal after an impressive effort in the final day’s games at the inaugural FIBA U18 3x3 World Championship in Rimini, Italy. About one-and-a-half minutes into a semifinal game against host Italy, the U.S. squad was reduced to two players and battled into overtime before succumbing by just two points. Slated to play Japan in the bronze medal game, the USA was forced to forfeit due to injury and technically finished fourth, however, FIBA recognized the effort with honorary bronze medals. 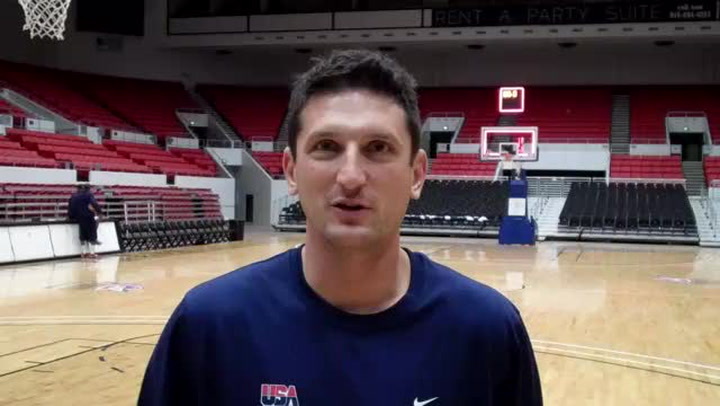 Member of the 2011 USA U16 National Team that claimed the gold medal with a perfect 5-0 record at the FIBA Americas U16 Championship in Merida, Mexico. 2014 Atlantic Coast Conference Newcomer Watch List by coaches and Blue Ribbon Panel. As a sophomore in 2014-15, helped her team to a 36-3 record and the NCAA Championship game. As a freshman in 2013-14, appeared in all 38 games and started six times; averaged 7.4 ppg., 4.6 rpg. and team-high 1.4 bpg. (sixth in ACC, second for ACC freshmen). Third on ND single-season blocked shot list for freshmen (most by ND rookie since Ruth Riley's 71 in 1997-98). Had first career double-double (19 points, game-high 13 rebounds) against Michigan State. Against Florida State in ACC quarterfinals had eight points and three assists; had seven points and five boards in ACC semifinal win vs. NC State; and had two points, five boards and game-high three blocks in ACC title win over Duke. Scored six points and dished out three assists in NCAA first-round win vs. Robert Morris; contributed five points against Arizona State in NCAA second-round victory; registered four points and four rebounds in NCAA Elite Eight win over Baylor; returned to starting lineup for NCAA national semifinal victory vs. Maryland, collecting nine points, five rebounds and four assists; and started in NCAA national championship game against Connecticut, tallying six points, four rebounds and a game-high three blocks. Born on Aug. 24, 1995, in Lawrence, Kansas. Daughter of Brenda Reimer and Ben Davis; has one brother, Benjamin. Father, Ben Davis, was a McDonald’s All-American at Oak Hill Academy (Va.) who played at Kansas and Arizona and was drafted by the New York Knicks; also played for the Jazz, Rockets and overseas. Attended Hamilton Southeastern High School in Fishers, Indiana. 2012 AP All-State first team and 2011 honorable mention. Indiana Coaches of Girls Sports All-State first team (2011, 2012). Indiana Basketball Coaches Association All-State first team (2012), Underclassmen first team (2011) and honorable mention (2010); Hoosier Crossroads All-Conference first team (2011, 2012) and honorable mention (2010). Indianapolis Star Super Team (2012) and All-North first team (2011); and Noblesville Times All-Hamilton County first team (2010-2012). Swam from 7-11 years old; member of 2006 Indiana 200-meter relay at Central Zones that recorded the fastest 10-and-under time in the nation that year; played soccer from 2nd -5th grade; and volleyball in 7th & 8th. 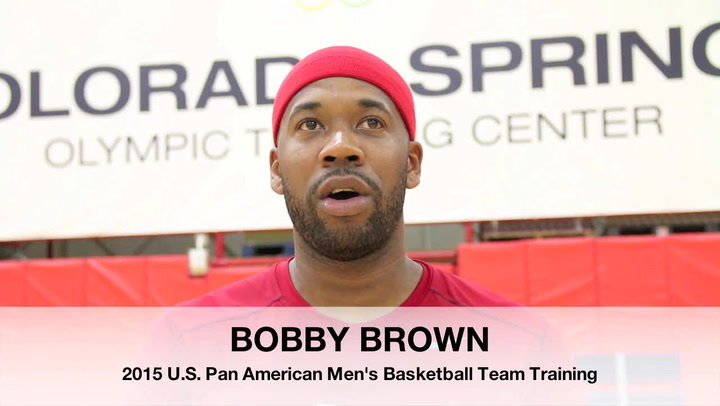 30-year old Bobby Brown has played professionally in the NBA, Europe and China. 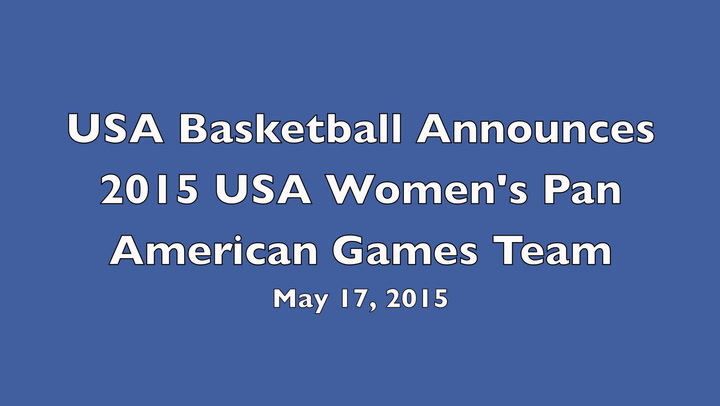 Now he's bringing his worldwide playing experience to the 2015 U.S. Pan American Men's Basketball Team. 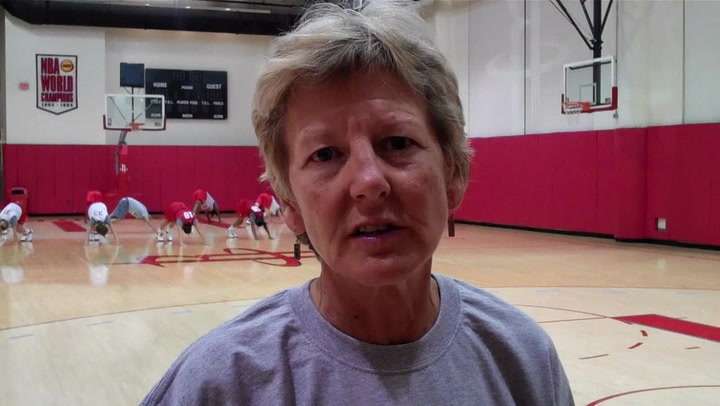 Lisa Bluder, head coach of the 2015 USA Women's Pan American Games Team, reacts following the announcement of the team roster.